Do you have any old Photos? Please join us on Sunday 5th May at 2pm in Cobham at the junction of Church Street and High Street. Bring gloves and we will supply high-viz jackets and litter pickers. The mill is open on the second Sunday of the month from April to October 2pm–5pm. The milling of corn is carried out during these openings, and a short video presentation about the mill and its restoration is shown at intervals. 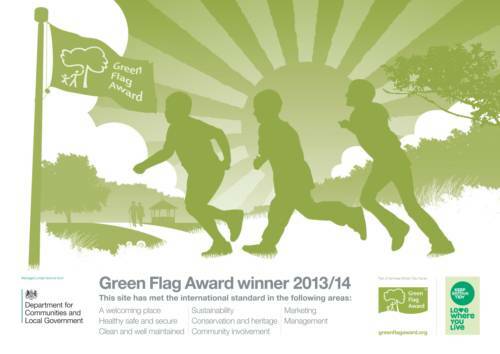 The Cobham Conservation and Heritage Trust (CCHT) was relaunched in November 2005 from the Cobham Conservation Group. You can find out more about the Trust on the About Us page. We hope you enjoy exploring our website and find the information interesting and stimulating and if you are not already a member that this will spur you on to join and support us. Click on the Membership menu for more details. 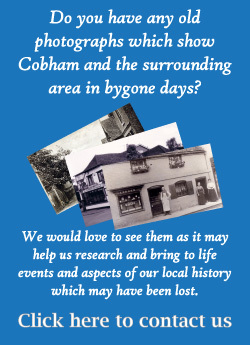 The Cobham Conservation and Heritage Trust is a local charity which relies on vounteers to help run the Trust, promote local history and conservation issues and organise fund raising events such as our annual Cobham Heritage Day. If you think you might like to join us, visit our Volunteer Vacancies page to find out which roles you might like to get involved with. We always try to make it fun. Marvellous evening - amazing and chilling film. The audience was sitting silent and stock still.